The Middle Nene Sailing Club is based on Thrapston lake which is approximately half a mile from Islip village centre. A thriving club, they welcome enquires from potential members or interested parties. The club is an RYA Training Centre offering Level 1 & 2 Sailing courses and Powerboat courses. 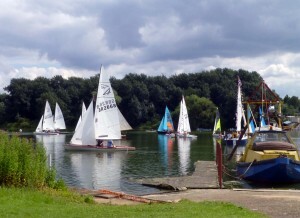 The lake itself is a designated SSSI and owned by the club. A haven for wildlife, with many species of waterfowl on the lake, particularly in winter. Angling is available on the lake by annual subscription. No day tickets are available. For more information visit the club website.